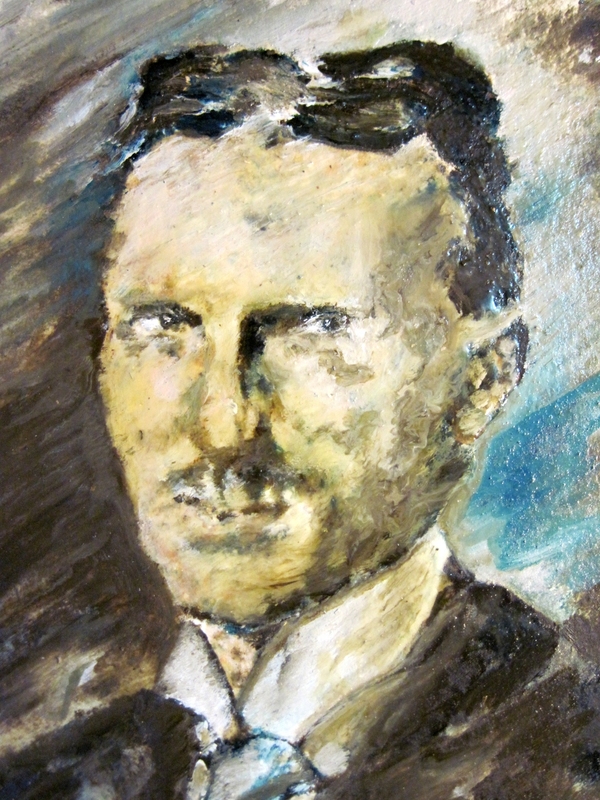 This little portrait of Tesla inspired me to produce my ongoing series of historic portraits. It was painted in oil on 300# watercolor paper, and measures 9" wide x 11" tall. Original is sold. Unframed prints available for USD 12.